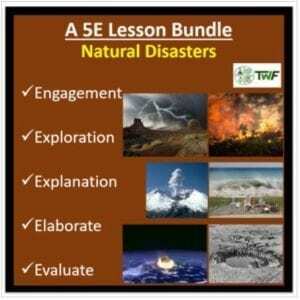 This 18 slide lesson package introduces your students to the wonderful subject of science for any age. 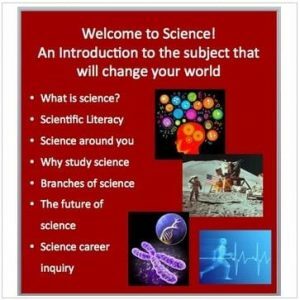 It’s perfect for an elementary classroom where students are being introduced to science for the first time as well as older grades to get acquainted with its wonder and beauty. It contains FOUR embedded videos as well as FOUR inquiry activities which get your students using their devices to perform some basic guided research. 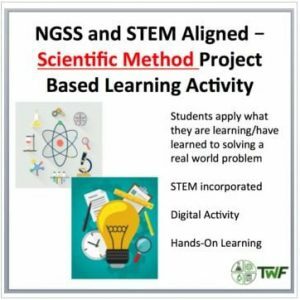 The PowerPoint includes the lesson (student and teacher versions of the PowerPoint) and a student lesson handout as a word document which follows the PowerPoint. This file is in .zip format. All that means is you download the lesson package as one file (.zip) and then double click it to extract it. No additional software is needed, your PC or Mac will do all the work. Please view the Preview File to obtain a sense of my style, see how my PowerPoint lesson is structured and evaluate my work. If you are not 100% happy with what you purchase, I will refund your entire purchase price via PayPal. To access the video(s), begin the slideshow and click the image of the video player. A new window will open up taking you directly to the video. I also have a range assignments and lessons/units from other grade levels at my store.Please CLICK HERE to have a look around and don’t forget to follow if you like what you see.